George L. Harms was born circa 1863 at Wisconsin. He married Jennie Belle VanNatta, daughter of Silas Aaron VanNatta and Levinia E. Withrow, circa 1905 at first marriage for him; second for her. (?) Alderman married Jennie Belle VanNatta, daughter of Silas Aaron VanNatta and Levinia E. Withrow, circa 1902. Clarence Alderman was born on 7 April 1903 at Wood, Wisconsin. He was the son of (?) Alderman and Jennie Belle VanNatta. Clarence Alderman died before December 2007. Harry M. Harms was born on 2 February 1908 at Wisconsin. He was the son of George L. Harms and Jennie Belle VanNatta. Harry M. Harms died on 11 January 1988 at age 79. Married Name Her married name was Anderson. Helen Harms married (?) Anderson. Helen Harms was born on 18 January 1910 at Wisconsin. She was the daughter of George L. Harms and Jennie Belle VanNatta. Helen Harms died on 14 February 1989 at age 79. Married Name 29 October 1938 As of 29 October 1938,her married name was Horn. Eleanor Harms was born on 15 February 1912 at Wisconsin. Eleanor Harms married Robert A. Horn on 29 October 1938. Eleanor Harms died on 19 December 2007 at age 95 Eleanor Horn, 95, of Platteville, died peacefully, gracefully and loved, just as she lived, on Wednesday, Dec. 19, 2007. Services will be at 11:30 a.m. Friday at First English Lutheran Church, Platteville, where friends may call after 10 a.m. Friday. Burial will be in Hillside Cemetery, Platteville. A service of remembrance is planned for Memorial Day 2008, with placing flowers on Eleanor's and her families' graves by her beloved children, grandchildren, great-grandchildren, nieces, nephews and their families. Honoring family members by decorating their graves with flowers had been an important part of Eleanor's life. The Melby-Bendorf Funeral Home, Platteville, is in charge of arrangements. She was born on Feb. 15, 1912, in Platteville, the youngest daughter of George and Jennie (VanNatta) Harms. Eleanor graduated from Platteville College of Education and completed further degrees in elementary education at National Education College in Evanston, Ill. Eleanor began her teaching of kindergarten at Platteville Normal Elementary School and at the Old Brick School. She then taught in East Chicago until her return to Platteville to marry Robert A. Horn on Oct. 29, 1938. After raising three children, Eleanor returned to kindergarten teaching for many years at Hanmer Robbins, O. E. Gray and Westview Schools. Eleanor was deeply involved in community organizations, including elementary Parent Teacher Associations, Hospital Women's Auxiliary, Meals on Wheels coordinator, P.E.O., thrift shop volunteer and Retired Teachers. She also was very involved in many committees and groups at First English Lutheran Church and several neighborhood card clubs. Eleanor enjoyed her full life of almost 96 years with her loving family and friends, traveling, her many interests of quilting, sewing, knitting and crocheting, gardening, reading and remaining adamantly independent throughout her life. Surviving are a daughter, Jean, of Climax, N.Y; a son, Jim (Joy), of Georgetown, Ky; seven grandchildren and 10 great-grandchildren; and many nieces and nephews. She was preceded in death by a son, Richard, on Dec. 23, 1990; her husband, Robert, on March 28, 1994; her parents; two brothers, Clarence and Harry Harms; and a sister, Helen Anderson. Robert A. Horn married Eleanor Harms, daughter of George L. Harms and Jennie Belle VanNatta, on 29 October 1938. Robert A. Horn died on 28 March 1994. Richard Horn was the son of Robert A. Horn and Eleanor Harms. Richard Horn died on 23 December 1990. (?) Anderson married Helen Harms, daughter of George L. Harms and Jennie Belle VanNatta. Name Variation George Steinhoff was also known as Edward. George Steinhoff was born on 27 January 1887 at Wisconsin. He married Verna A. VanNatta, daughter of Silas Aaron VanNatta and Levinia E. Withrow, on 10 June 1913. George Steinhoff died in August 1965 at Wisconsin at age 78. Elias Marvel married Emma Elizabeth VanNatta, daughter of Aaron V. VanNatta and Elizabeth Kishpaugh, on 26 August 1867 at Grant, Wisconsin. James Henderson Massey married Jane Yoaman VanNatta, daughter of Aaron V. VanNatta and Elizabeth Kishpaugh, on 30 May 1852 at Virginia. Buckles Cramer Travis was born on 18 November 1836 at Grant, Wisconsin. He was the son of Abraham Travis and Sarah Cramer. Buckles Cramer Travis married Mary Hettie VanNatta, daughter of Aaron V. VanNatta and Elizabeth Kishpaugh, on 18 November 1858 at Grant, Wisconsin. Buckles Cramer Travis died on 18 October 1924 at Nebraska at age 87. George Washington Chewning married Nancy Margurita VanNatta, daughter of Aaron V. VanNatta and Elizabeth Kishpaugh, on 10 November 1858 at Virginia. Abraham Travis married Sarah Cramer. Abraham Travis was born in 1792. Married Name Her married name was Travis. Sarah Cramer married Abraham Travis. Sarah Cramer was born in 1815. Barbara A. Lamberson was born circa 1839 at Pennsylvania. She was the daughter of Isaac M. Lamberson and Martha Jane Nulph. [S249] U.S. Federal Census 1850 U.S. Federal Census, by Ancestry.com, Year: 1850; Census Place: Redbank, Armstrong, Pennsylvania; Roll: M432_749; Page: 289B; Image: 584. Caroline Lamberson was born circa 1841 at Pennsylvania. George F. Lamberson was born circa 1842 at Pennsylvania. He was the son of Isaac M. Lamberson and Martha Jane Nulph. Joseph Lamberson was born circa 1843 at Pennsylvania. Srader Lamberson was born circa 1845 at Pennsylvania. Martha Lamberson was born circa 1846 at Pennsylvania. Eileen Marie Decot was born on 24 July 1951 at Reedsburg, Sauk, Wisconsin. She was the daughter of Robert M. Decot. Eileen Marie Decot died on 12 October 1989 at Sauk, Wisconsin, at age 38. 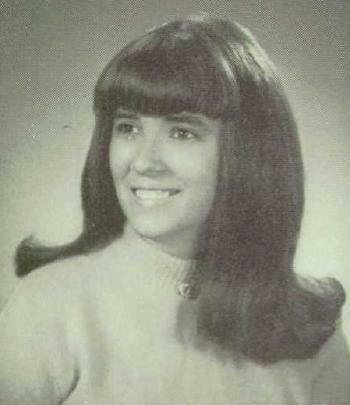 Eileen Marie Decot graduated in 1969 at Webb High School, Reedsburg, Sauk, Wisconsin. Robert Luke married Mary Snyder. Married Name Her married name was Luke. Mary Snyder married Robert Luke. Name Variation Berniece Alice Luke was also known as Bernice. Married Name 24 October 1940 As of 24 October 1940,her married name was Cady. Berniece Alice Luke was born on 13 December 1918 at Illinois. She was the daughter of Robert Luke and Mary Snyder. Berniece Alice Luke married Kenneth Donald Cady, son of Ernest Cady and Ida Schlegeimilch, on 24 October 1940. Berniece Alice Luke died on 1 March 2011 at age 92 Berniece Alice Cady of Madison, formerly of Reedsburg, died on Tuesday, March 1, 2011 at Karmenta Center in Madison at age 92. Berniece, daughter of Robert and Mary (Snyder) Luke, was born Dec. 13, 1918 in Apple River, Ill. On Oct. 24, 1940 she was united in marriage to Kenneth Donald Cady. He preceded her in death on Oct. 3, 1997. In her free time, Berniece loved gardening and reading but most of all, spending time with her children, grandchildren and great-grandchildren. Survivors include her children, Kenneth G. Cady of Baraboo, Barbara Swalheim of Madison, Rick Cady of Baraboo, Pam (Dennis) Brenton of Baraboo, Tim Cady of Everette, Wash; 14 grandchildren; 18 great-grandchildren; her brother, Austin (Lois) Luke of Lake Delton; as well as many nieces; nephews; other relatives and friends. She was preceded in death by her parents and husband; as well as five brothers and one sister. Private family memorial services will be held. Burial will be held at a later date in Oak Hill Cemetery, North Freedom. The Redlin Funeral Home is assisting the family with arrangements. The family wishes to thank the staff at Karmenta Center. Name Variation Kenneth Donald Cady was also known as Kenny. Kenneth Donald Cady was the son of Ernest Cady and Ida Schlegeimilch. Kenneth Donald Cady married Berniece Alice Luke, daughter of Robert Luke and Mary Snyder, on 24 October 1940. Kenneth Donald Cady died on 3 October 1997. Married Name circa 1899 As of circa 1899,her married name was Melser. May (?) was born in October 1874 at Illinois. She married Elmer Ellsworth Melser, son of Alvin Melser and Elizabeth Ivins, circa 1899. May (?) and Elmer Ellsworth Melser were divorced before 1910. May (?) had 1 with 1 living in 1900 children. Elmer Roy Melser was born on 22 August 1915 at South Dakota. He was the son of Joseph Melser and Caroline Rose Mader. Elmer Roy Melser died on 3 December 1993 at Kanabec, Minnesota, at age 78. [S243] U.S. Federal Census 1920 U.S. Federal Census, by Ancestry.com, Year: 1920;Census Place: Chester, Douglas, South Dakota; Roll: T625_1719; Page: 8A; Enumeration District: 81; Image: 650. [S250] U.S. Federal Census 1930 U.S. Federal Census, by Ancestry.com, Year: 1930; Census Place: Glendorado, Benton, Minnesota; Roll: 1078; Page: 3A; Enumeration District: 4; Image: 859.0. Married Name before 1936 As of before 1936,her married name was Golla. Ethel Eileen Melser was born on 17 March 1917 at South Dakota. She was the daughter of Joseph Melser and Caroline Rose Mader. Ethel Eileen Melser married Benedict Peter Golla, son of (?) Golla, before 1936. Ethel Eileen Melser died on 21 January 1991 at age 73.